1. How do I submit my work to you? Everything goes through the Contact/Submit page of this website. First, you fill out the first four lines of the Contact/Submit form, by which you tell me who you are and how I should contact you. If it is well described by one of the "Prix Fixe" items (like "Poetry - up to 30 lines - $5.00"), check the appropriate box. If you want the lower service level of "Proofreading," check that box. 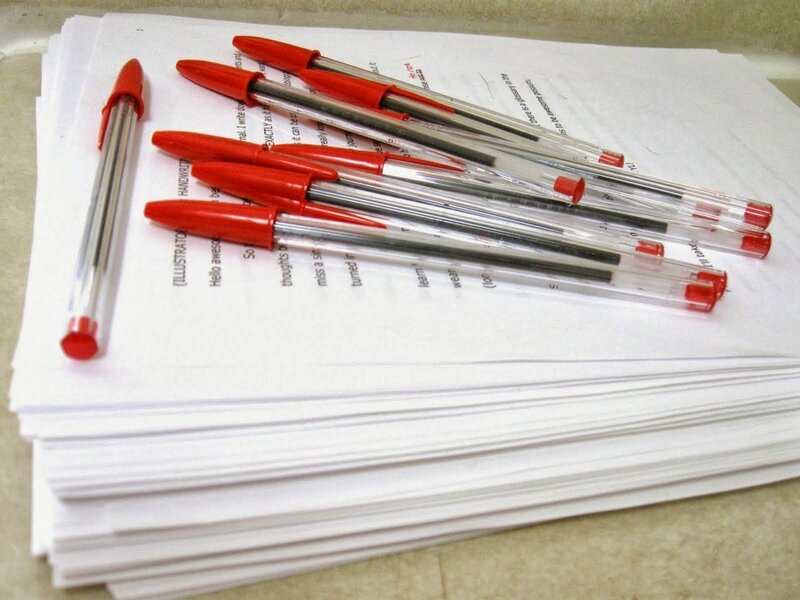 You may need to submit the work--or a two- or three-page sample of it--for an estimate. Pick the appropriate box. Perhaps you have a question. There's a box for that, too. Any other features, like photos, charts, footnotes, etc. Use the "Browse" button to find and attach your file (or the sample you have extracted from it). Finally, click on "Submit." I will be back in touch with you within twenty-four hours! 2. What happens next? How will I receive an estimate? Within twenty-four hours, I will contact you by email (or phone, if you have chosen that option). I will also tell you when I expect to finish. Once I am finished, I will email you an invoice for the agreed-upon amount. My first contact will acknowledge receipt of your submission (for example, "I have received a three page extract from your novel entitled Jelly Beans"). an invoice for a down payment of 50% of the estimated cost. If you decide you want me to do the work, you pay the invoice. I'll bill you for the balance when I'm finished. If you decide you do not want me to do the work, pay nothing (but let me know—we can still part as friends!) Any work that I did on the sample is yours. All payments are handled through PayPal. If you have your own PayPal account, you can pay the invoice that way. Otherwise, you can use your major credit card. 4. How do you determine estimated costs and turnaround time? My standard rate is $0.01 per word. 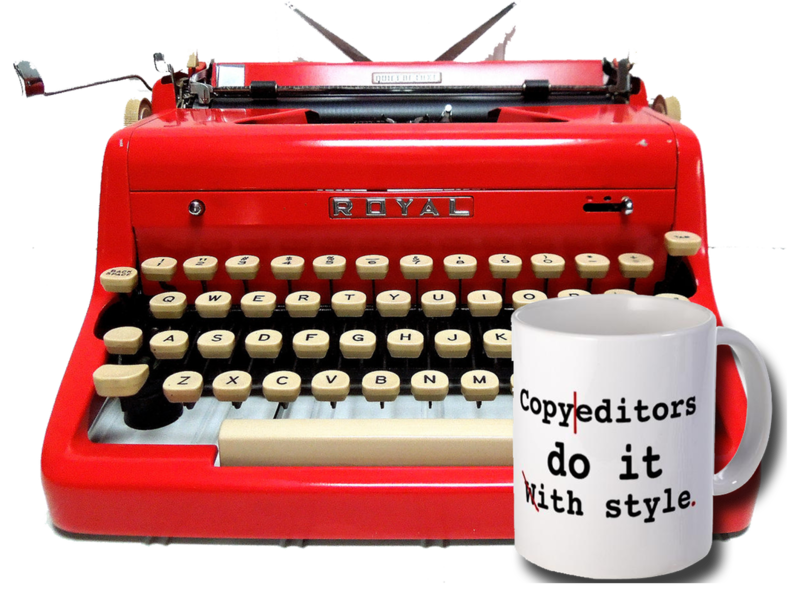 If you wish my "Proofreading Only" service, the rate is $0.008 per word. 5. 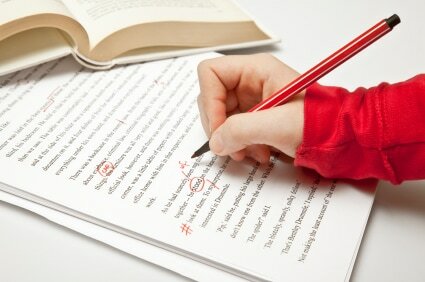 Can you proofread or edit my website? Sure. Put the link to your website in the "Comment/Question" box, specify the pages you want me to work on, and I'll give you an estimate. Warning: Since the content of most websites is handled by software I might have no access to and protected by security measures I should have no access to, the correction process will be quite cumbersome. We should talk--give me your phone number on the Contact/Submit Form. 6. 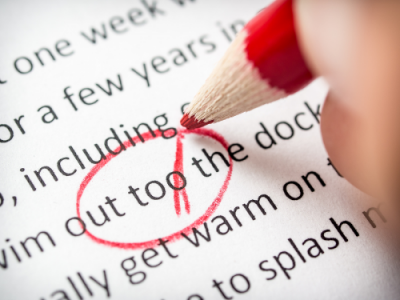 What's the difference between proofreading and copyediting? 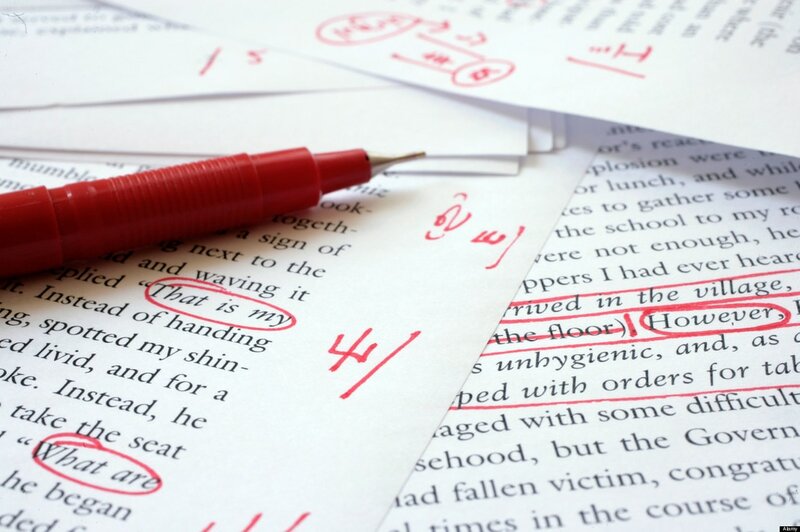 Proofreading used to be the last thing to happen to a manuscript before the presses started rolling, but nowadays it can happen at any time. You give me your text and I will make sure the words are spelled correctly, that the verbs agree with their subjects, and that your commas and periods are properly used. Simple, sweet--and indispensable! 7. What are the standard stylebook and format choices? 8. What word processing program should I use? Any word processing program can be used for writing. Microsoft Word has an excellent "Track Changes" feature that enables me, the editor, to suggest corrections and make comments to you, the author. You can then accept or reject each change as you please. If you don't have access to Microsoft Word or Google Docs, please let me know your software, so that I can do my best to accommodate your needs. 9. What is "Track Changes" mode? Check out the demonstration of "Track Changes"
on the EXAMPLES page of this website! All this before you make a single permanent change! When you are ready, you accept or reject each suggested revision in sequence! If you would like me to walk you through the features of "Track Changes" mode after I have edited your work, please ask. We could have a very helpful phone call! 10. What if I don't agree to some or all of the changes? With "Track Changes," it's up to you: Accept or reject each suggested revision in sequence. Accept all, or accept some. Yea to this one, nay to that one. 13. Do you have any writing tips? Lose the murk! Make the writing clear. Sometimes you simply must make use of a second pair of eyes. Never use an adjective if a noun will do. Never use a phrase if an adjective will do. Never use a clause if a phrase will do. Never use a sentence if a clause will do. Never use a compound sentence if a compound predicate will do. KEEP THE VOICE! Make your mark; you have something to say in your own words. 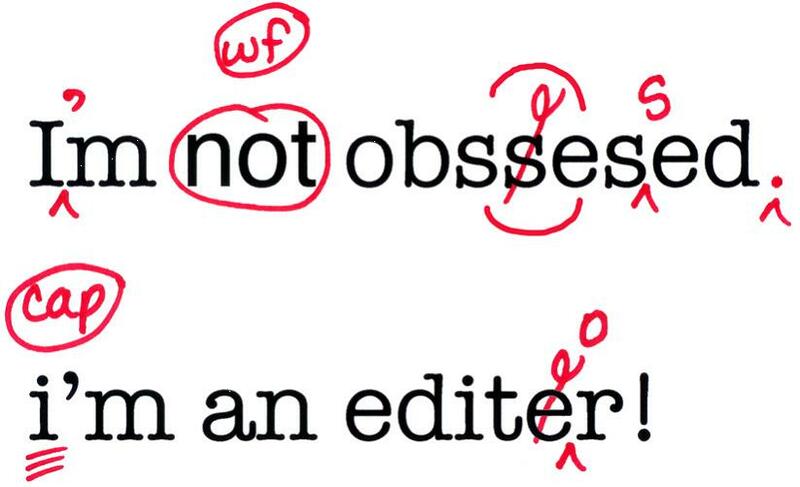 Make sure your editor remembers who the author is! 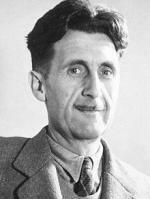 From Orwell's essay "Politics and the English Language"
Writer's Digest is owned by F+W Media, which publishes the annual edition of Writer's Market, a guide containing a list of paying markets — magazines, publishing houses, and contests — as well as an index and tips for beginning writers. The magazine is published eight times a year.